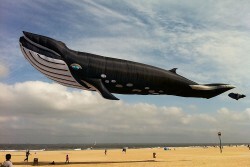 A flying aquarium with a 30 meter whale...this is actual size! 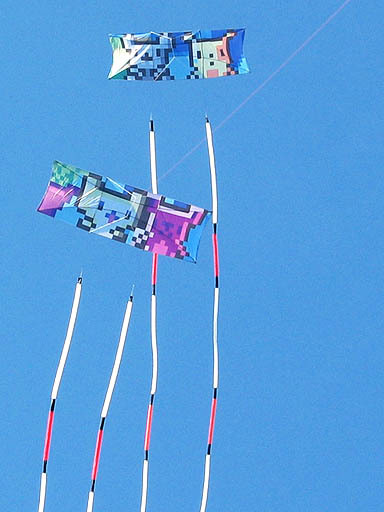 How did I get caught up with kites? 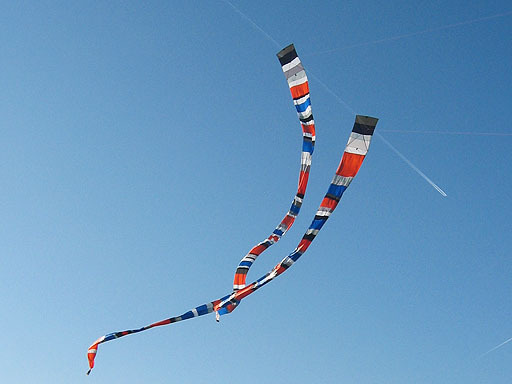 I was raised in a family of Indonesian decent, steeped in a rich kite tradition. 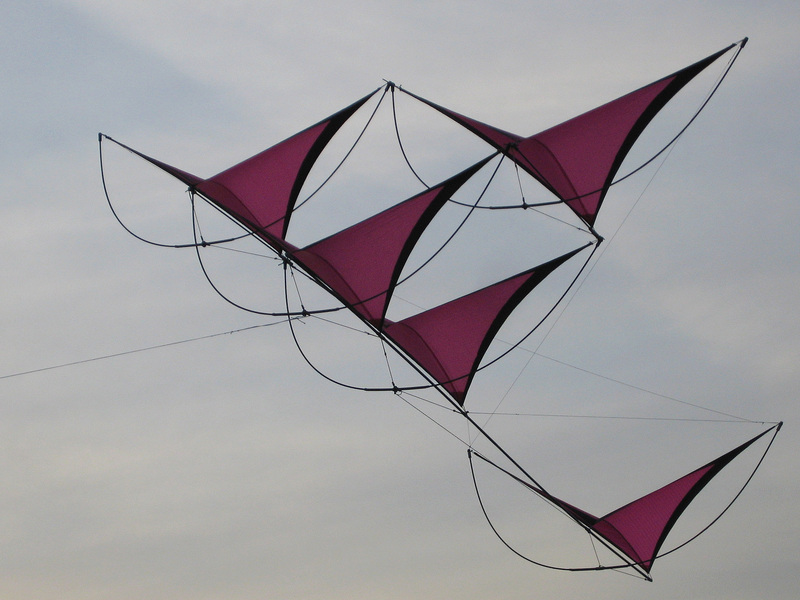 My father built fighter kites and I have flown kites as long as I can remember. 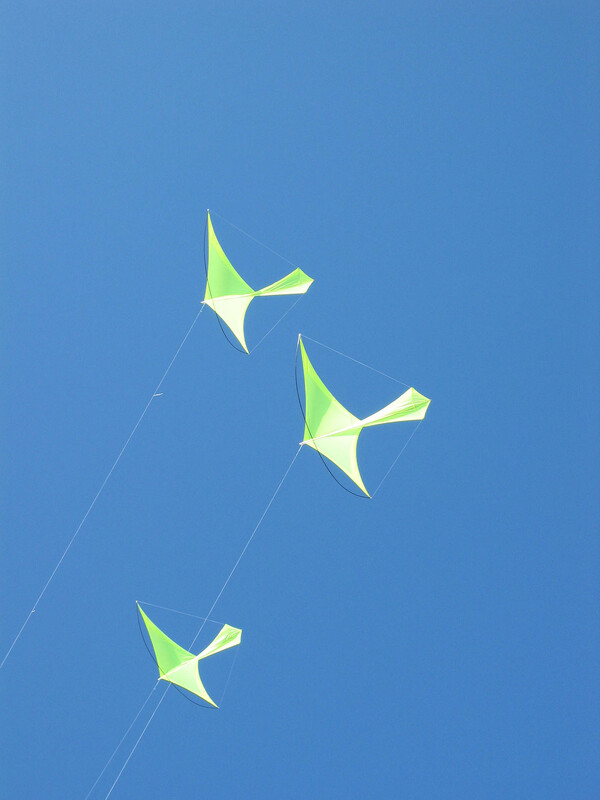 Stephen is active with different kinds of kites. 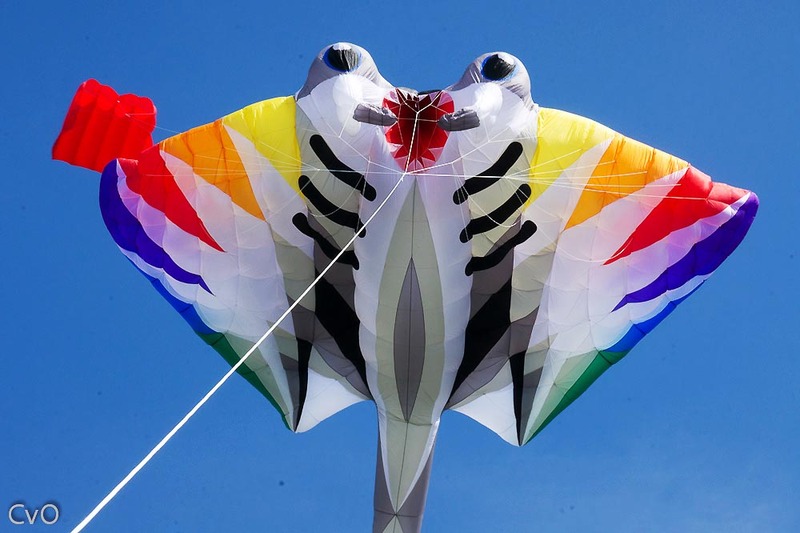 A specialism is flying steerable kites. 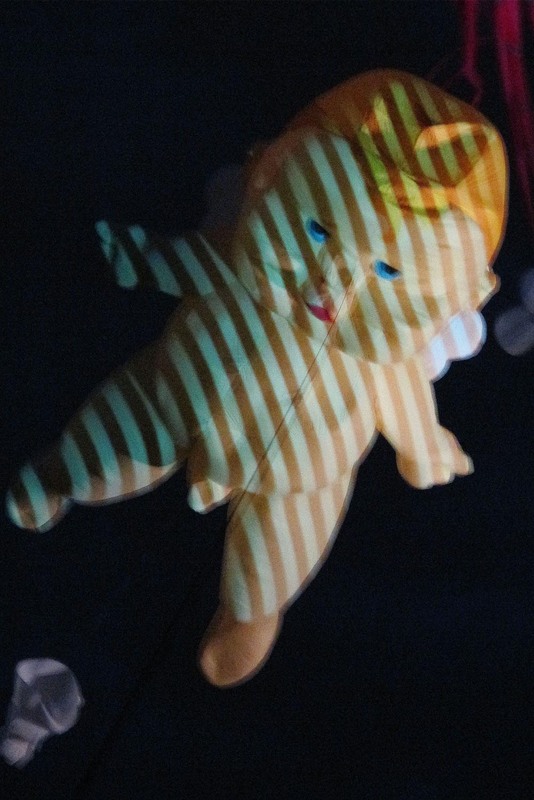 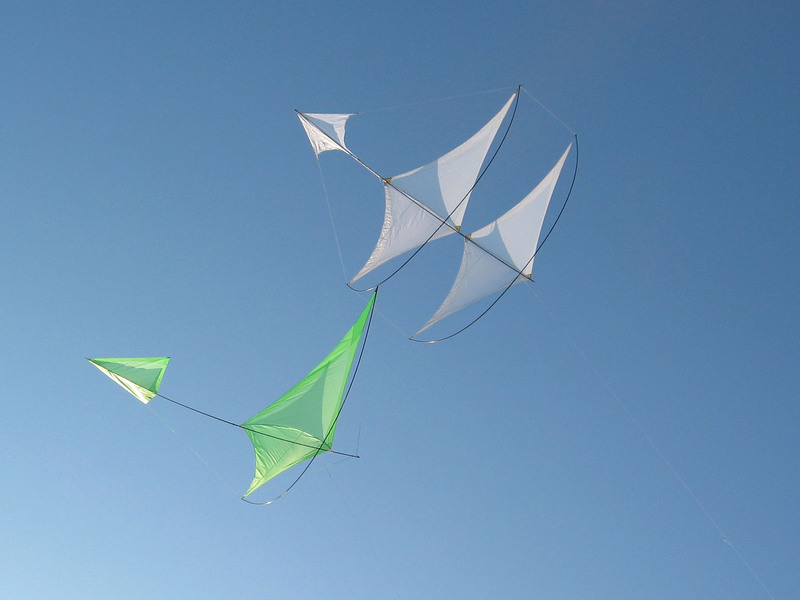 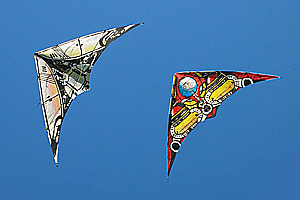 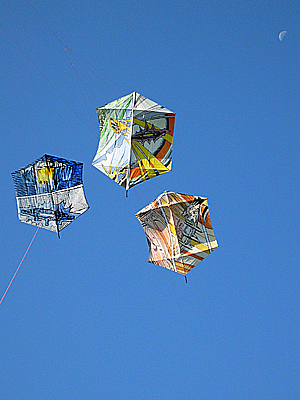 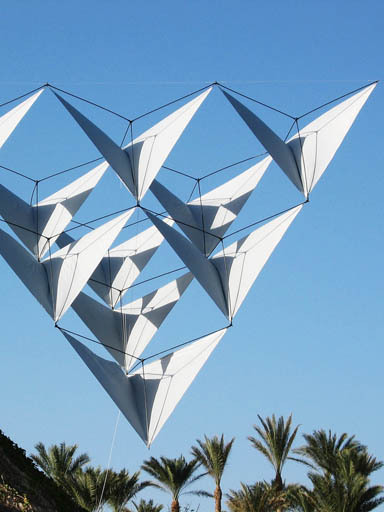 With these, demonstrations are flown to music; the kite literally dances to music. 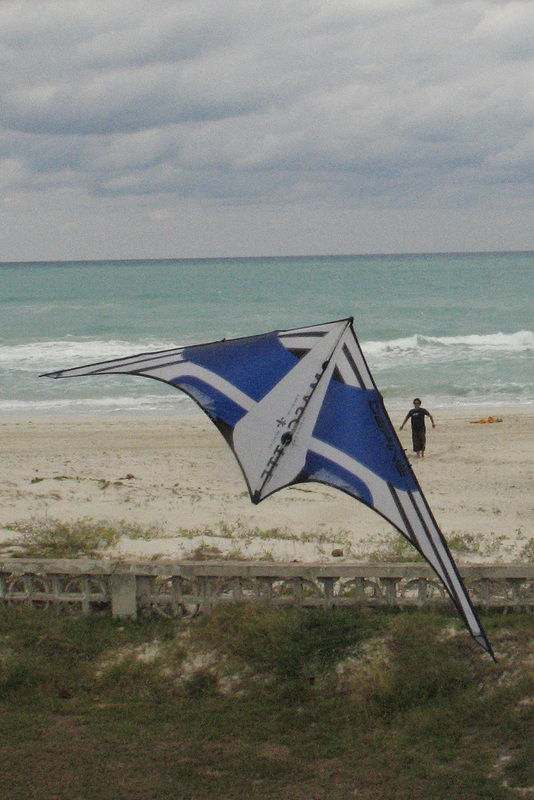 With these sport kites competitions are also flown. 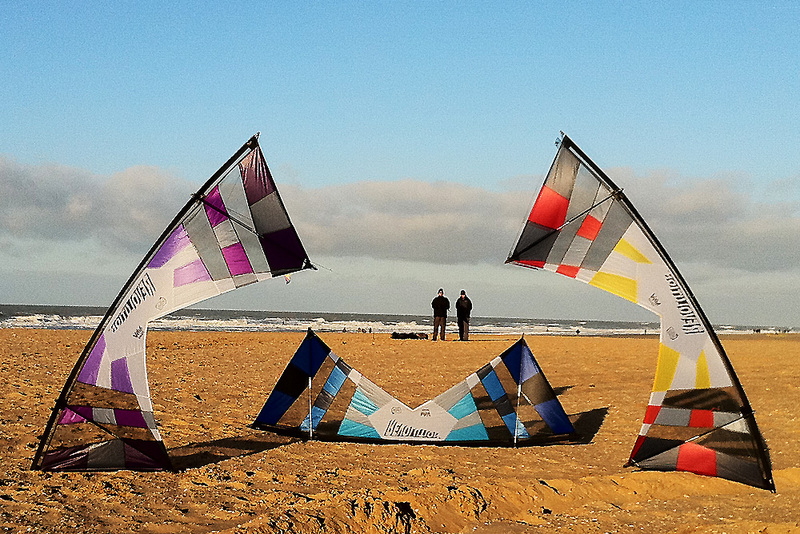 Stephen is multiple Dutch and European champion, and also won the Olympic world championships in Weifang (China) in 2008. 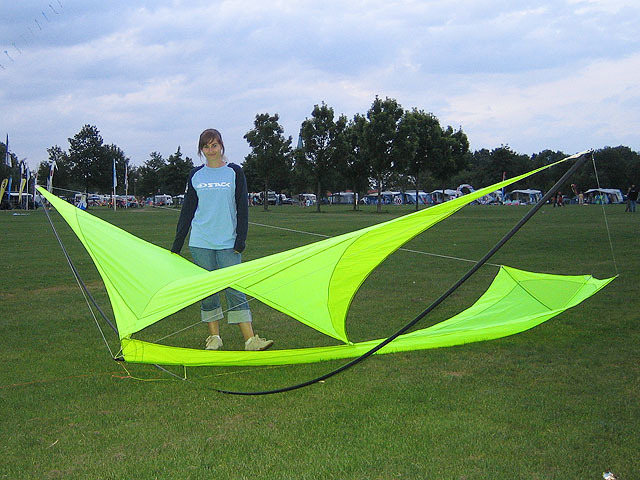 At the moment, Stephen is also a member of the four-line team AIR-4-CE. 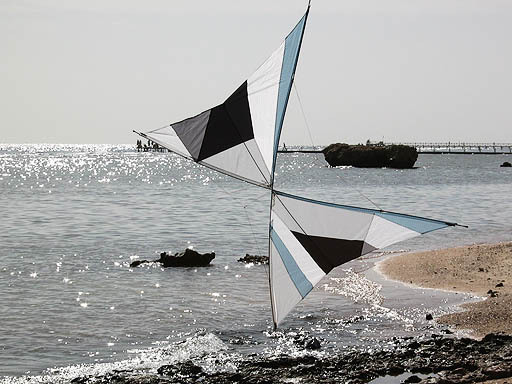 Because of his profession as designer with his own design agency Versteegh-Design, Stephen is always working on designing and building new kites. It is not a surprise that his kite bag is filled with creative kites, among which the kite sometimes attracts attention because of its graphic interpretation, the use of material, or because of innovative constructions. 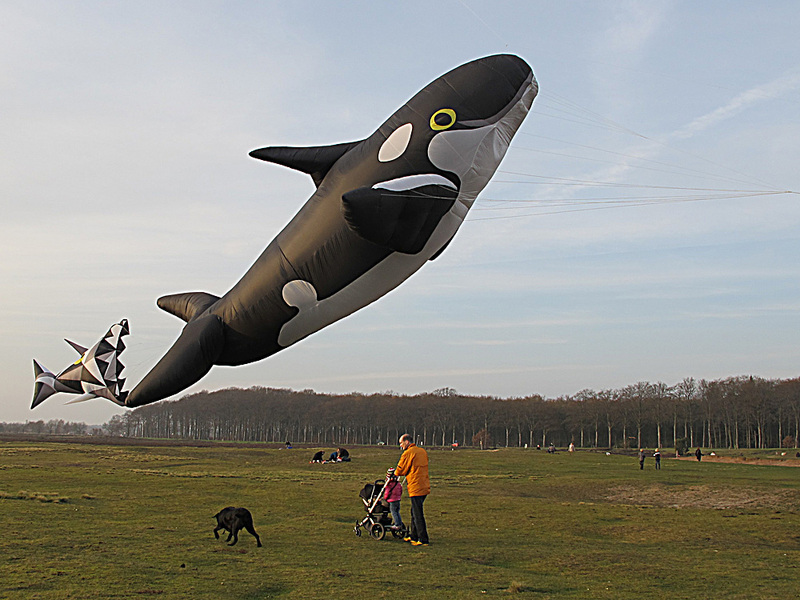 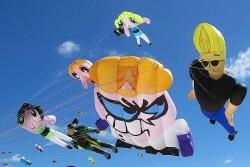 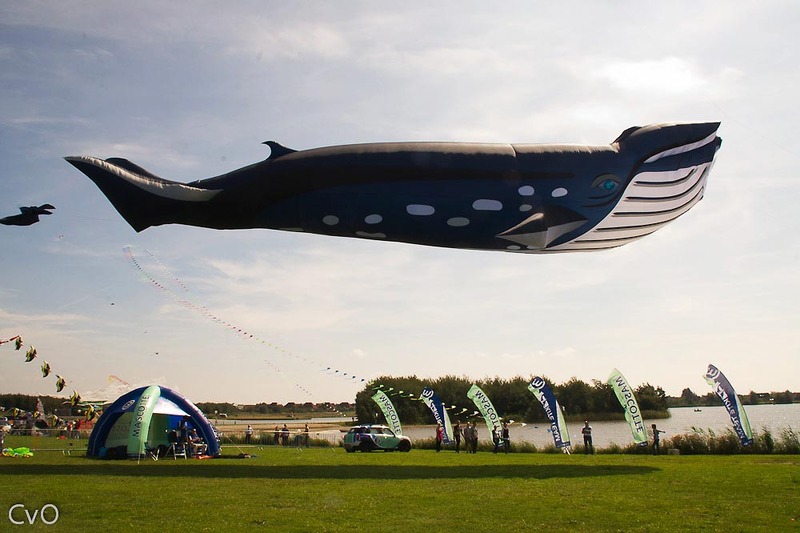 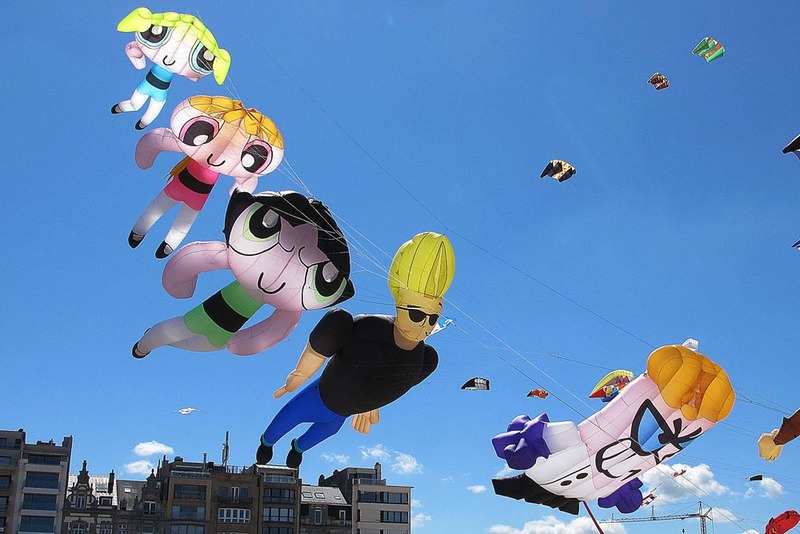 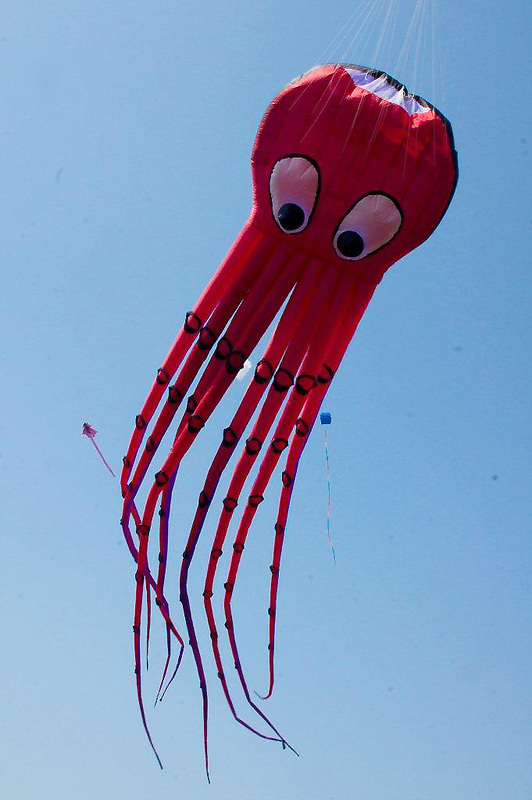 Besides making kites himself, Stephen also has a collection of large kites in two themes: Cartoon Network characters, and a flying aquarium with as a crowning touch, a 30 meter whale, this is actual size. 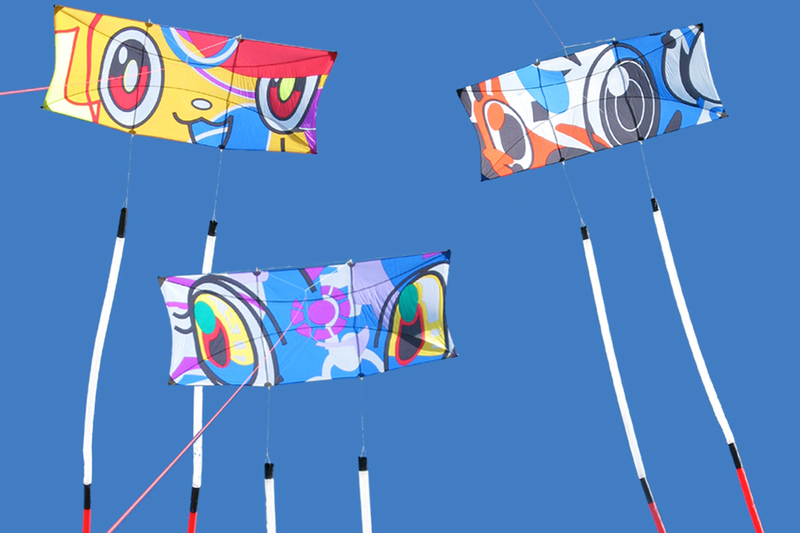 These big kites are used, among other things, for commercial kite shows, as a support for events. 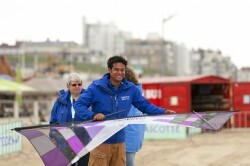 Besides flying kites, Stephen is also active in organising Dutch kite flying. As National Director of STACK BeNeLux, he organises the Dutch championship and co-organises the international kite festival Scheveningen. 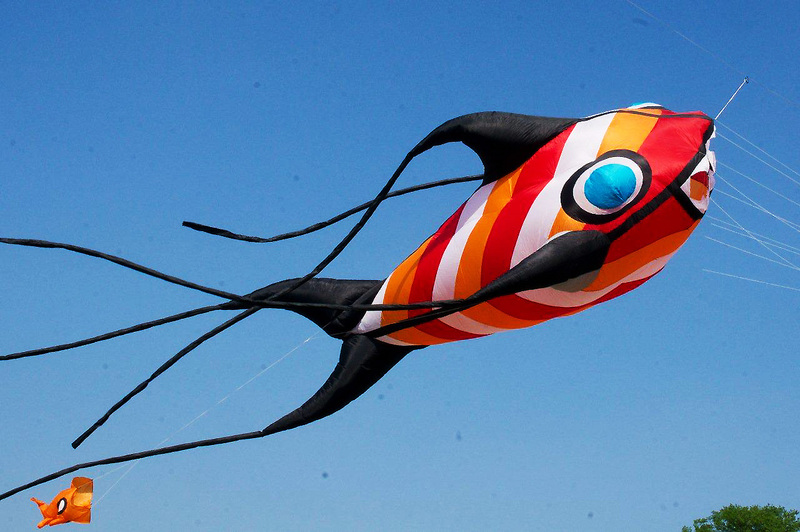 Stephen is a true jack-of-all-trades when it comes to kites, and never avoids a challenge, be it a sanjo fight, a mega team with sport kites, or flying big kites, sometimes very big kites.